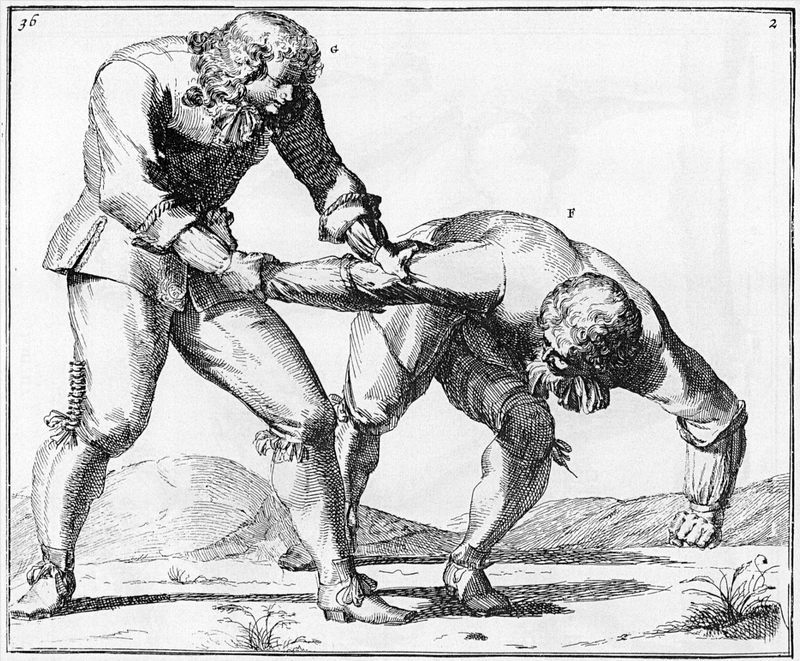 he “Clear Instructions of the Exquisite Art of Wrestling” is a book on hand to hand combat by Dutch Nicolaes Petter, posthumously printed for the first time in 1674. I’d like to introduce combination No. 6 here with the translation of the written description. F is the attacker, G the defender. Picture 1. 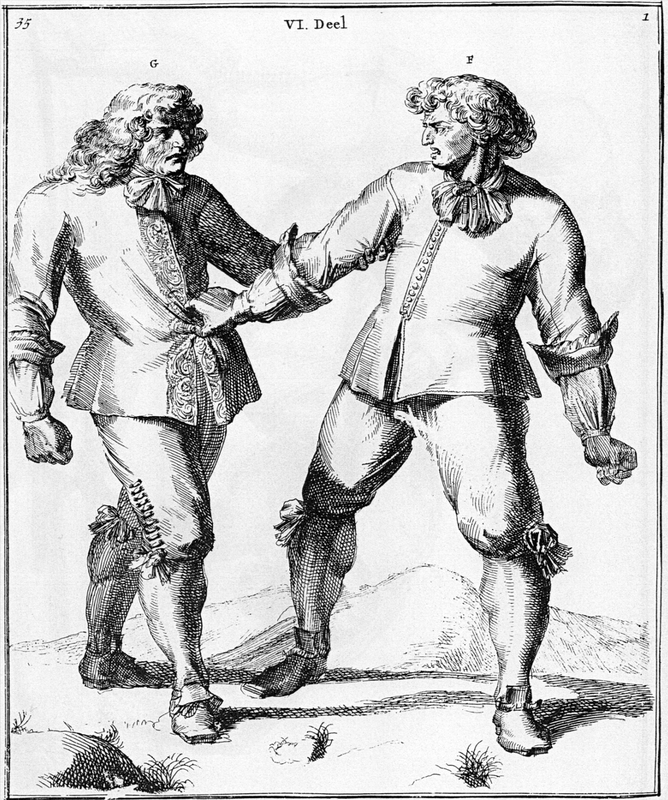 F seizes G at his chest, whereupon G with his left hand grips him under the arm above the elbow. Picture 2. G strikes his right handt on F’s right arm, and pinches the hand until F lets go. G now having his chest loose, he fully rotates F’s right hand with his right hand, and with his left arm pushing and turning from behind F’s right arm, he bends him over foward. This entry was posted in Book Reviews, Misc and tagged 1674, Nicolaes Petter. Bookmark the permalink.